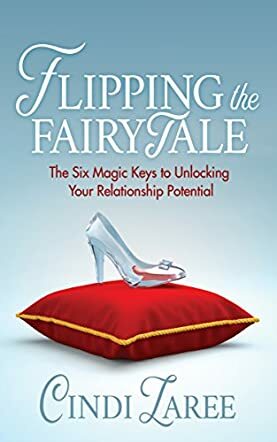 In six simple steps, author Cindi Laree shows readers how to find your soul mate or dream partner in her book Flipping the Fairytale: The Six Magic Keys to Unlocking Your Relationship Potential. Everyone dreams of dating a perfect guy or having a good relationship and this book is for all those readers who are looking for the perfect love and relationship. With the six magical keys in hand, the author was able to become a princess and find a passion-filled life. She rewrites the formula for love through this book and invites readers to join her on this enchanted journey as they collect the keys and unlock the secrets to maximizing their relationship potential. The book is fun and entertaining and the author handles a relevant topic with finesse and dignity. I like the way she makes it interactive and the exercises shared in the book are easy to practice. It is interesting to look at the different types of men the author mentions, and she encourages readers to dream big, love more, and create their own fairytale ending. The author’s techniques and tips are insightful and thought-provoking and she also weaves in her personal stories and experiences which make the book personal and palpable. The author’s explanation of how to rebuild life after being broken is beautiful and it is real and relatable. The small changes and adjustments required to keep us on track to achieving our goals can be used to allow faith, trust, and a dash of magic to guide us to our fairytale ending.